Global e-commerce sales have risen by over 88% since 2010. But accessing this global boom isn’t as simple as just being online. You’re going to need a plan. This is where an e-commerce strategy comes in, but for many companies these can fall down simply through one simple omission: failure to consider how language impacts the experience. So how can you get this right? A complete e-commerce strategy needs to consider everything, including language. This is even truer if you are selling on a global scale, as language can be the undoing of any strategy—no matter how considered. Yet this is often the part of an e-commerce plan that is overlooked. Whether it’s a belief that one language will suffice, or not enough time being taken to implement the appropriate languages correctly, the one thing that is certain is just how damaging it can be to get it wrong. It will affect sales in the short term, but that’s just the beginning. Its effect on your brand could be huge, as customers are hard to regain after a bad experience. E-commerce has created a truly global economy. If you’re online, then you are potentially a global supplier. People expect to be able to access everything from the palm of their hands, so you have to provide this successfully. Otherwise, at the flick of a finger they can take their business elsewhere. In fact, this level of experience can be what separates many brands, with successful ones being those that manage to consider all elements of their brand. And e-commerce is just as much a part of your brand and brand’s perception as your logo or your staff. Good e-commerce is in the details, and this is where customers actually see the benefits. And this is as true for language as functionality. You have to treat customers in different markets differently. That sounds obvious, but it often isn’t even considered. Not doing it at all, or just doing it by halves, is not enough – it has to be implemented completely. They are different markets in their own right. Just running content through a Machine Translation engine, without understanding or checking the results, is likely to have an impact on customer experience. Customers, as we showed in our last blog, expect to use the internet in their own language. And that includes your website! It’s a matter of trust, and a bad experience will erode this fast. Without this complete approach, your e-commerce strategy will be at a significant disadvantage. We believe, along with our clients, that the key to customer satisfaction is in the quality of their experience. You probably think the same and do everything in your power to deliver this. Unfortunately when it comes to e-commerce, if you don’t consider each market and language enough, this can sometimes not fall short of expectations. Your message simply isn’t received and potential customers just don’t connect with you. By ensuring every product, message and touchpoint is not only correctly translated, but actually speaks to your audience, then you are truly crossing borders. Your brand and its benefits will be understood, and the experience will be more likely to translate. It’s about taking the time to provide the same quality experience you would in your home market. Just because a customer is somewhere else doesn’t mean they expect less. That’s why Apple pays as much attention to their services and experiences as they do to their product, no matter where they are in the world. They take great care to adapt everything for each individual market, with language at the forefront of everything they do. The idea is to make sure their message is never misunderstood. Key to e-commerce is understanding and using every channel available. But in a global economy, each of these channels also quickly connects to multiple markets. In managing each of these channels, it’s essential to understand how their usage changes from market to market. For example, different markets require – or at least prefer – different payment methods. Also, just because everyone in one of your markets uses a piece of technology in one way to shop, that doesn’t necessarily mean that others do the same. You need to consider each channel within each market. Your use of language is then key to letting your audiences know the experience they can expect from your company. Language is how you clearly tell them about your products, payment processes, or delivery terms. As we discussed in another blog, search engines are ultimately on the side of the consumer. They can understand any language and match it to another—but they don’t. Or at least they prefer not to. As they get smarter, the emphasis has been on providing fewer results, not more. It’s about relevancy and personalisation. They want to offer the results the customer is really after: the ones they are likely to use. This has come to mean ‘local’ results. But local doesn’t simply mean in close proximity – a major determiner of locality is the search result being in the right language. 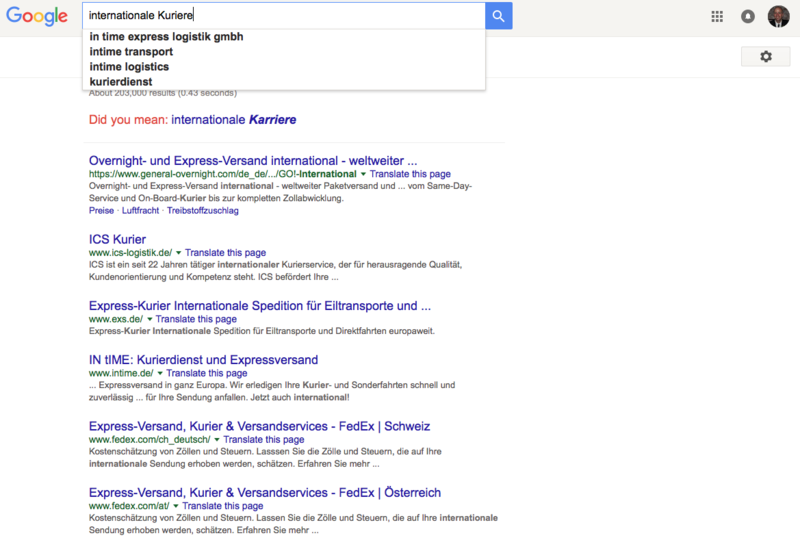 If someone searches in German, then Google will try and provide relevant results in German. Even if it knows that your English-language site is just as relevant as a similar result in German, if you don’t have your site translated then it will be deemed as not being relevant. It’s fairly simple how you get around this: to be found in search results, you have to play by the rules. That means providing content in the language users are searching in. The emphasis is now on you, the seller, to do this. With all e-commerce comes a deluge of big data. The insights you can gain from a well implemented e-commerce strategy are huge, letting you understand your customers more than ever before. This only gets bigger and more beneficial when you think on a global scale. The only caveat is making sure this information is of the same quality as the data from your home market. This will come from making sure your brand and service are correctly perceived. Only then can you judge your customers’ experience of it correctly. Otherwise, the data you receive will be skewed by a fundamental misunderstanding of what you’re offering. A great experience comes from a complete experience – one where every aspect of your service fulfills expectation. It’s true that it can be difficult to achieve. However, not paying enough attention to your use of language and letting all your hard work fall down at the first hurdle is definitely bad for business. Luckily, making the decision to put a multilingual strategy into practice is one of the easiest to make! Can you say ‘customer’ in any other languages? So, what makes everyone so certain that their customers can understand English? 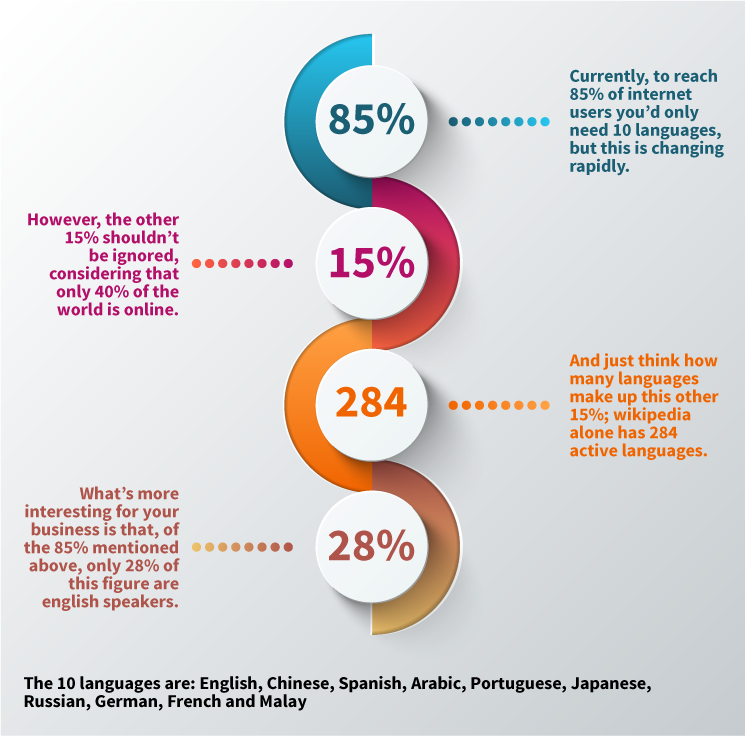 There’s growing evidence showing that, regardless of how many people can speak English (and it’s not as many as you might think), they don’t necessarily use it when on the internet. Everything on Google these days is local, you can’t search for anything without getting a map showing you your nearest whatever. So what makes people think this is different for languages. Why then, if you’re listing something for sale in English on a website in English, will Google now show it in search results in Germany. It’s not that Google couldn’t include the listing in German, as Google Translate could translate the listing automatically. But they don’t. 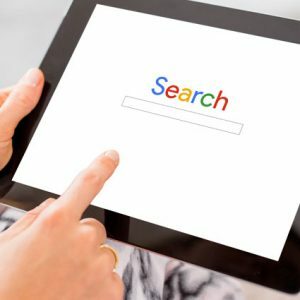 In this instance, Google is looking out for their users – and they know better than anyone that if you search in your language you expect results in your language. So that’s what they provide. 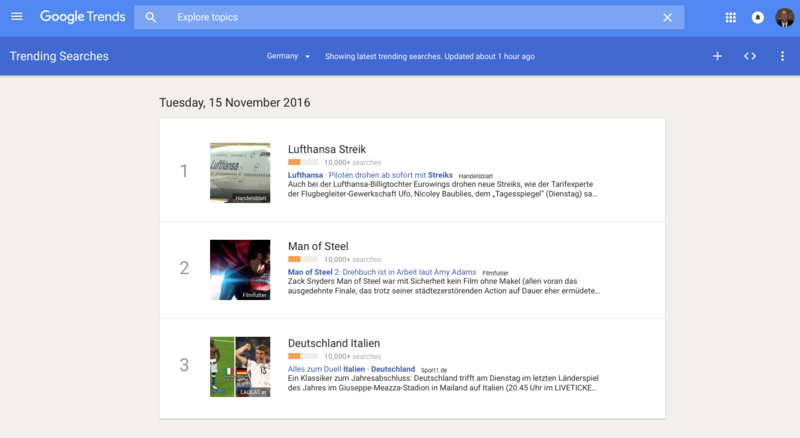 Q: Can you spot anything interesting about today’s top trending searches for Germany? A: They’re searching in German, and the results are in German. Let’s try one ourselves. Let’s try searching for “International Couriers”, written in German, whilst being in the UK, and see what the results are. Again, the results are in German. So why do people assume English is the language to use online and nothing else? Where has this come from? It’s fair to state that lots of people speak English, but let’s not kid ourselves: no matter how big that number might look, it’s not everybody—not even close. The US leads the way in many areas and is one of the largest consumers of the internet, which is probably the basis behind this idea. 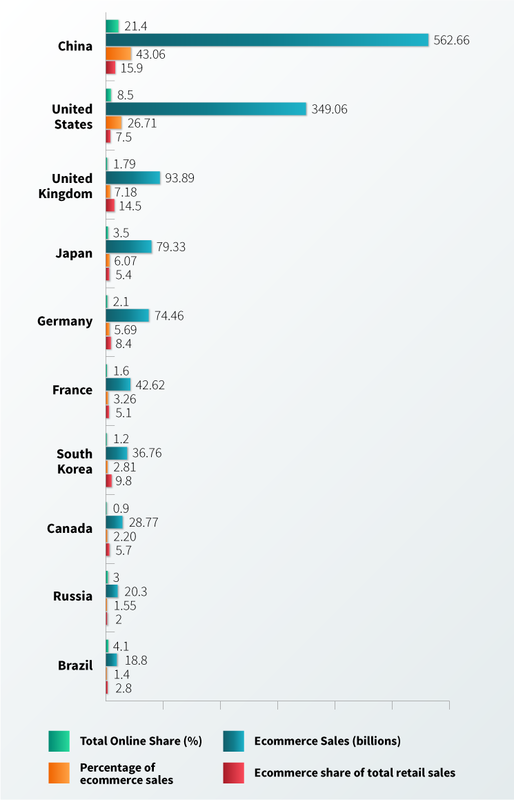 But the US is not the world, and the world of the internet is growing fast. So who does speak English? The internet is now a truly global marketplace, and one language can’t and doesn’t reach it all. 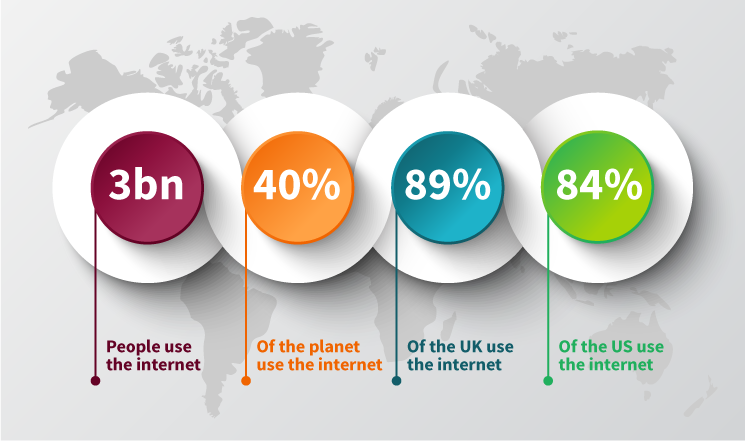 Right now, 3bn people use the internet, but that’s only around 40% of the planet (based on a recent UN report). With 89.7% of the UK and 84% of the US already using the internet, that means most of the English-speaking world is already covered. So the future of the internet is elsewhere. To some, the above graphic, might make this seem like a decent enough market size, but that still leaves 3/4 of the internet that you’re not reaching, and this ratio is shifting fast. Since 2000, internet use has grown massively, and the growth in non-English speaking regions has dwarfed those in English. One key issue currently facing the internet and its users is the content available. Too many businesses and users have focused on using English alone, without looking at the limits to its value. Right now, the amount of English content compared to English speaking users is woefully unbalanced. From a business perspective, this is frightening and this disparity is only likely to grow. So, you have to ask your business: can you afford to ignore and not cater to over 70% of your potential customers? Surely people use English if it’s everywhere? This sounds like a rational assumption, considering the volume of content that’s in English. Surely people are using it, or else who are people producing it? The simple facts point to the opposite being true: 72% of consumers spend their time online in their own language. But this is simply common sense, isn’t it? And the figure is probably only as low as 72% due to many users not being able to find the content they want in their own language, even when they look. And, when it comes to purchasing, this figure increases: just 1 in 5 people buy in another language. Again, this is common sense, right? You’d want to know what you were buying before you confirm your order, and this is true anywhere in the world. But my products are on Google in those countries? They may well be. But let’s face facts: the above proves that people use the internet in their own language – and that should be obvious, because we all do. So, why do we continue to assume they’ll search in English? Even if you know for a fact that people in France or Germany can simply search for your product and find it (as long as they do it in English), the actual chance of them doing that (in English) is not as high as you think. This has been proven. And many of Europe’s largest, most profitable, and most diverse markets are the least likely to do so. 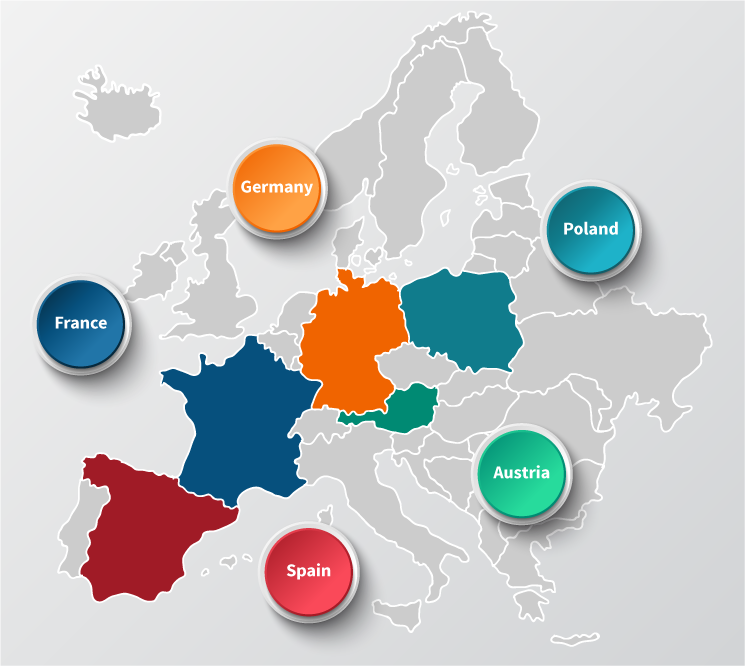 The list includes 3 of the biggest economies in Europe. And users in all these countries are, at best, only 29%-32% likely to ever look for content in English. But that’s okay because 70% of Malta will use English, right? The reality is that, by not having your content in their local languages, you’re missing out on selling to 70% of these three biggest markets in Europe, and that just for starters. Which is probably because their economies and markets are already big enough to not bother with you, if you don’t give them a reason (in their own language) to do so. They can find what they are looking for locally instead. So what languages should you sell in? This comes down to knowledge and understanding of what you’re trying to sell. You need to look at the available markets and their potential. The key consideration here is buying power versus online share. Just because a country has lots of people online doesn’t mean they’re buying. As you can see, some markets are a lot more beneficial than they might initially look once you look past their simple online presence. Yes, China and the US are big, but that’s not the only factor at play here. Consider it another way: India has a 13% share of the world’s online arena (sitting in 2nd place above the US) and yet doesn’t rank in the top 10 for e-commerce. While Germany only has a 2.1% share of online, but 5.69% share of the e-commerce market. As these figures suggest, there’s a lot of potential purchasing power in Europe. But that again needs to be considered against its diversity. Don’t just go for every language, as some might not be beneficial to you. 90% of the Netherlands can, and do, use English when buying online. While the buying power of some other markets might just be too small (for now anyway). So you’ll need a considered approach when choosing the right languages and markets. One simplified way of looking at Europe is with a North/South Divide. Northern European – i.e. the Netherlands upwards, so think Scandinavia – are more likely and willing to use English online. Whereas the countries South of that are much less likely to use it, as we saw above with Germany, France and Spain being among the least likely. However, all major countries in Europe – even Scandinavian countries – have a core set of users who will never be willing to use another language online, which currently sits at around 40%. This is not an insignificant amount. So, initially you might be able to use English more effectively in the North, but by no means should this be your end solution. The above is simply a snapshot of today, but what next? Well, if Google’s recent actions are anything to go by, language is becoming king. They are currently driving hard towards a fully semantic use of language. But what does this mean? Put simply: they want the internet, as well as how it communicates with and understand users, to become more natural – conversational even. And the reality of this is that ‘conversational’ means local languages, especially when coupled with Google’s love of local that was mentioned above. That’s generally how humans converse. And there’s a reason for this: it is what people want. That’s a lot of people not even bother to look at your site, even if it does have what they searched for, compared to how many would if your site spoke to them in their own language. It’s also worth mentioning that Google are possibly driving this conversational approach whilst keeping an eye on the rise of voice searching. Because people are even more likely to use their own language when speaking. The need for local language is more important than ever. With Google and the language it’s using becoming even more local, yours needs to be too. we provide for e-commerce here.